My experience, questions and UNICORNS! 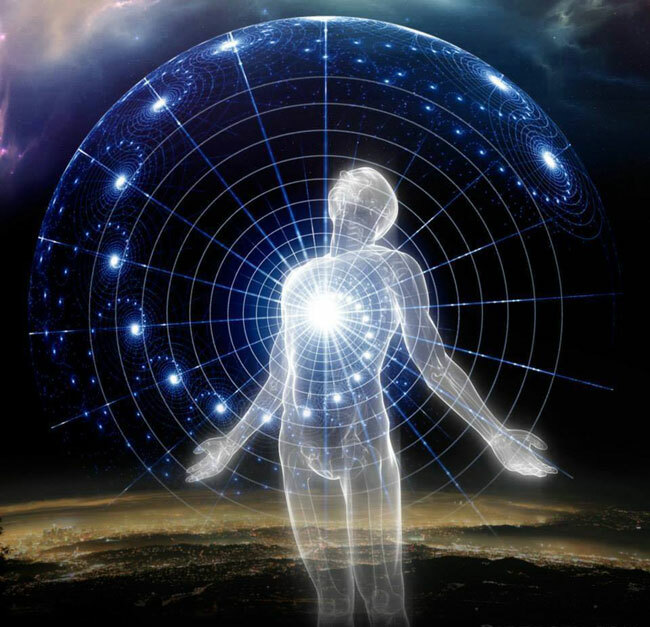 The Astral Pulse > Astral Projection & Out of Body Experiences > Welcome to Astral Projection Experiences! > My experience, questions and UNICORNS! I am new here, I have spent quite a few hours going through posts on this forum and sifting through posts which are over 10 years old for information. I felt it would be good for me to share my experience, what brought me here and hopefully discuss with everyone to find a solution to some of my questions & goals. Let me first start with my experience. When I was young (age 6-11), I believe I had quite a few OBE's which I thought to be dreams i.e those times when I tried waking my parents up, but they couldn't hear me, only to wake up in bed crying because I didn't exist anymore. It was mainly just me in the house or very close by, doing absolutely nothing, but remembering it very clearly. That is until I had a 'dream' which changed everything and I have been unable to get it out of my head ever since. I woke up in my bed one morning and my first thought was "Oh no! I've overslept my alarm again, I need to get to school." This was then followed by me flying out my window, down my street and towards my school with shocking speed, I got lost in the experience for a few seconds as it all felt so natural, until it hit me that I was flying through the air, followed by me shouting in joy "YEAH! I'm flying". It was at this point when the pesky voice in the back of my head said "Yeah, but how are you flying? You couldn't fly before this." So at this point, I am floating 20 feet in the air, unable to move, trying my best to swim through the air using the good ol doggy paddle technique. I was stuck! I thought "How do I fly?" and the response I got in my head was "You just fly! ", "BUT HOW???". About a minute later and after several different attempts, I couldn't figure out how to fly. I looked down at the ground and the thought "What if I fall?" came into my head, followed by overwhelming panic and fear, followed by me waking up. This stuck with me and I still vividly remember the feeling of flying. I was 100% aware of myself and where I was, especially since I was answering myself in my head (yes I actually do this, even now in my mid 20's). So what are your opinions? Was this an OBE or just a very strange and vivid dream??? Youtube recommended a video about "lucid dreaming" to me around 2 months ago, and now here we are. This was me attempting to will my body into sleep and visualise a ladder which I was climbing with some strange arms coming out of my back (Because real arms could never bend that way!) This was 60 minutes of me swapping between different types of ladders, because the standard wooden ladder was a clear violation of astral health & safety. This time I try to put on meditation music so I can focus on that and stop talking to myself. It works, I am relaxed, I am focused completely on the sensations of my body and the binaural beats. I have tingles in my toes and soon in my fingers, my stomach starts to tingle and then as the beat continues I get a tingling above my brow and can feel like pulsing energy. I know right, you are thinking "OMG IT CANT BE!! 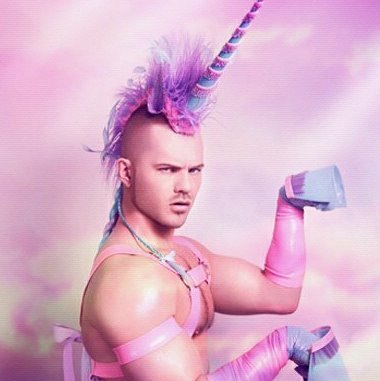 ", but it's true, I actually became a unicorn. On a serious note, this actually opened my mind on chakras, which I hadn't considered before. If I can feel it, it must be real, atleast for me. This time, there was a period where I was focusing on meditating and learning about that chakra voodoo. I could feel it, this time I would make it happen. I have multiple techniques to try, now to test them all! a) Now I thought I would try my own "Sit up Method", I was going to relax and focus on myself doing sit ups in my mind, then as I drifted, I would do an 'astral' sit up and BOOM! Didn't work. b) Rope technique, I couldn't decide on how the rope should look and I kept thinking "but that will hurt my hands if I grab it!" c) Roll out technique, I am relaxed, drifting, start to feel it and BOOM! all my muscles tensed to stop myself from rolling, my visualisation was TOO good. d) Visualising myself on my rowing machine, rowing back and forth constantly. I can imagine it, I can feel the grip in my hands. this visualisation is on point. 30 minutes in "I should be well out of breath by now!" - That annoying inner voice spoiled it all for me. e) Now I visualised walking down a peaceful beach, taking a walk in the woods, riding my bike. Cant stick with anything. It always leads to me talking to myself. At this point, I have given up on visualising anything. I can't focus that way. Now I am going to focus on sound and hope to get the pulses I felt when I became a unicorn, but try to remain focused on the beat until I can leave my body. 40 minutes later, I feel a small vibration which I first feel in my hands (I know this because at this point, I wasn't even sure I still had hands until that point). I get so excited that all my focus now has to go on stopping the huge grin I have on my face. ~ excitement killed all of these attempts as it was starting to work (I think). This time, I have found theta wave beats to listen to. Quite quickly, I feel the 'thum, thum, thum' travelling through my body and I thought this could be the one. I keep focusing on the beat and letting everything else fade away. I feel a pulsing through my entire body, suddenly I feel 'THUM' go through my torso and my chest, it was so powerful that I felt like my body couldn't contain it. 'THUM' 'THUM' 'THUM' It started to get faster and it felt like waves of power building in my chest. At this point, it felt like soon the 'THUM' pulses would become so fast it would just be a continual pulse going through my body. I freaked out thinking that this might be my heart trying to clock out while I wasn't paying attention, I stop immediately in full panic mode. Attempt 27-28 ~ Strange feelings. b) Same again. I am on the edge now, this time however I don't feel any pulses or vibrations and just lay there. I was laying there for almost 2 hours when I had a strange sensation. I am still struggling to describe it, but it felt like I was deep inside my body, but also outside my body (if that makes sense) It felt like my awareness had sunk 2 inches into my body, but I could now sense 2 inches outside my body. It felt like sitting inside a car but feeling the air rush past the outside of the car. When I started to concentrate on WTF was happening to me, I broke my focus and decided to stop and try to research what happened. I couldn't figure out what happened and since I don't know how to explain it, it is very hard to google. Does anyone have an idea or some information that might help? Is there any advice which you think might help me personally? I wanted to write this down and share it, hoping it would concrete them in my mind and allow me to succeed. 1- Visit the Akashic Records for a few things. a) If all the planes are connected, there must be a path to transcend in the physical. So I will search for the technique to go super saiyan so we can instant transmission into a higher plane. Someone must have done it, if not, maybe someone will. I don't believe in impossible. I believe that everything is energy, we are surrounded by the energy of the universe which gives life to all, but we just don't know how to use and absorb this energy. b) See the lives of Budha, Guru Padmasambhava & many others. There are many stories throughout the ages of people who transcended or reached a higher plane of existence. I hope their experience can help me on my path. 2- Learn to fly. I still remember the freedom of flying and how it felt so natural to just zoom through the air to where I wanted to go. 4- Finish my transformation into a unicorn. Has anyone done anything similar or found themselves having similar goals? Maybe even found their own answers to share? Re: My experience, questions and UNICORNS! Hmm, for some reason I missed this thread. Your first answer is you had experienced a "non local state of consciousness". You can call that a LD/OBE, Phase, etc. But as long as you weren't focused here on this immediate physical realm, the term fits. Your first attempts show that you still haven't learned to control your fears. Because of that, you are experiencing "self imposed" blocks. Swallowing, some kind of panic on what kind of ladder is proper, etc. You got better with practice, as will happen. You learned to relax and "allowed" the experience to go further. Your title "Slight success" on Attempt 21-25 is misleading though. You found some form of learning and success in every attempt. In other words, you gradually got better. That's progress and success in a nutshell. Now to your follow up questions. 1. Yes, you do it every night, but you aren't consciously aware of that fact. You can learn how to stay conscious well into the Dream cycle. The Tibetans' call it "Tibetan Dream Yoga". 2.Yes you can access the Source. First you need to go through a learning curve. In other words, you need to walk before you can run. A focused will and Intent is everything in this practice. Thought = action instantly over "there". So, you must learn to control your thoughts. Then there is also learning how to "navigate" and "be" over there. 3. Keep doing what you are doing. I love using "motion related" techniques. I also have some techniques for learning helping you learn to "disassociate" yourself from your body. You can practice there daily and they do really help. 4. My only answer to your last question is "Change your mindset, you change your reality". You will learn that things here in the physical aren't really what you thought they were. Your NP experiences will show you things that will challenge your beliefs. Keep a open mind. Once you think you have all the answers, school will be over. That doesn't mean that you "graduated" though. It just means that you are content where you are and that is where you will stay. I find that opening your mind to more will mean that you will still be taught more! You are doing great. You are going about this like a true Researcher and Explorer. When you get there, learn to "observe" before you question something. You can question it later. There is a lot to observe! Thank you for your response. I have found this forum to be a fountain of knowledge and eventually I have pieced together some of the answers to my original questions. I didn't really fear the astral, I feel like it was more the fear of unknown and leaving my body. Since then I have done a few meditations to release my bottled up emotions, or as us brits call it "stiff upper lip". Finally letting go of my grief and anger has already helped me on many different levels. So your warning was quite correct, I had alot which would have influenced my experience. Thank you for your response. I will now look into dream yoga for guidance. @ your second answer, is there any specific method(s) you would recommend for focusing intent? I am trying a little of everything when it comes to my energy work at the moment and finding what the best fit for me is, so I am fully open to being directed towards a method I might have overlooked or missed. I have been doing a great deal more work on myself and while I may seem a tad sceptical, you will find that I always remain completely open minded, even when it comes to thing I think I know. I have my own beliefs at the moment, but the only thing I know for sure is how little I actually know and even then, I might be wrong. While at the moment, I would prefer a tank, the moment I see that love works better, I am open to change. @3, are you referring to 'the doorway'? or are there others you can point me towards? I have just found your post and will start using this technique as part of my daily ritual. While this forum is a fountain of knowledge. There is a great deal of information and sometimes what you are looking for can be missed. "The Doorway" is a great practice to learn how to hold your focus during the act of Phasing. Which is also known as "noticing". In that, you jumpstart a visual and keep with it as it continues to morph. Your focus is then "there' instead of here. The "Phantom Wiggle" is based on "disassociation". Every day you practice simple things, that begin with you closing your eyes and reaching out to things with your "etheric" body. Ex: The tree in the backyard is about 100 feet form my window here. I can see it. So to practice a disassociation technique, I would close my eyes and reach out to it or will myself to it. I would then feel the bark, the leaves. Look at the ground etc. By doing this I am using a visual, but more focused on the "tactile" part of this. I get a "dual awareness" whereas I still feel what my physical body is experiencing. Another good one is simulating a driving experience or a Rollercoaster ride, oaring a boat, etc. In each of those you almost instantly feel the motion. Through the years here I have create threads with all kinds of fun techniques. under my current name "Lumaza" and my former name "Lionheart". Be creative. You need to find what kind of focus works for you. Time to do some experimenting. Just make sure you give each tech a "honest go", before you move onto the next. You can start with something I do, but then alter it to what you like. There is no "Blueprint" here set in stone! Thanks, I will give it all a shot and see if I can find some other gems I might have missed. I will always try at night before bed, there have only been a few times where I went to bed without making an attempt over the last month. I will also try again in the morning on occasion. However over the past 10 days, I have been on a muscle sparing water fast to detox and cleanse my body. During this time I have been making an attempt at night, in the morning and then again in the afternoon for a few hours while doing energy work and meditation between then. I haven't actually had the greatest of luck at night as I find it harder to remain focused or just fall asleep. What has been working for you? I think one of the hardest things for me is sleep paralysis. While I can easily switch into a trace state where my body is numb and breathing by itself, I never have gotten to full sleep paralysis where I couldn't move at all. When I sleep, I have been known to sleep talk, sleep walk and occasionally act out my dream (headbutting, punching & kicking) all while remaining asleep. I have had full conversations with people who didn't realise I was sleeping until I said something which made no sense, then as they keep talking to me, I eventually wake up. It runs in the family, I have been like it since I was young and I know my dad is the same. I really want to get full sleep paralysis, but that is easier said than done from my experience. Since it has never stopped me acting out my dreams. In my post made on September 17th 2015, I posted 4 links to other techniques I have used that had favorable results. Also, in that "Phantom Wiggling" thread I use not only a "6pt Tetrahedral based focus", but also a simple "simulation" based on driving as well. Both of them are very good with learning more about our "etheric" bodies and energy manipulation in general. Many times just simply practicing them can hold your focus so long that you find you have already shifted without being aware of that fact. They are basically something you could use to "pass the time". I find that doing nothing for a hour while awaiting a shift can be pretty boring. I like to use motion based focuses to keep me busy. Try Bedeekin's pre nap technique. It works very good!